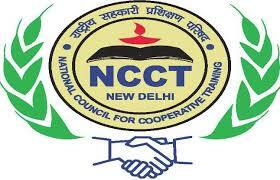 Aspirants who want to make their career in government sector jobs can apply for NCCT Jobs. They may fill online application form till the closing date that is 13th June 2017. Lower Division Clerk >> Graduate in any discipline from a recognized University/ equivalent and at least six month’s certificate course in computer training & minimum typing speed of 40 w.p.m. in English and 30 w.p.m. in Hindi. For all other posts refer the notiffication. Candidates must be between 18 to 30 years of age.Age relaxation are applicable as per rules. Candidates are get selected based on written test & shorthand/ typing test/ skill test. § First and foremost step you have to take is for opening the official site, which is http://www.ncct.ac.in. § After that contenders are required to choose ‘Recruitment’ tab that is visible on the home page. § This will open a list of the links having latest openings and candidates have to select the most appropriate link which will open the complete advertisement having further details regarding NCCT Vacancies. § Now, go through Advertisement and instructions mentioned in it. § After reading complete instructions carefully contenders are required to press online applying link and fill application form with all required and correct information. § Upload digital images of photograph and signature, if required. § At last candidates should take a printout of submitted application form for further reference. Starting Date of Online Submission of Application Form : 24-05-2017. Dead Line For Apply Online :13-06-2017.